White sandy beaches leading up to sparkling, turquoise waters and across from it, some of the most luxurious resorts that money could buy- welcome to the tropical heaven that is Maldives. From mesmerizing landscape around you, in contrasts of vivid greens and blues; to amazing underwater marine life, Maldives tours will prove to be a wondrous affair with beauty of nature. However, the lavishness afforded here will ensure you do feel overtly robbed on the natural side of the bargain. Perfectly palm-fringed beaches are the most treasured assets that Maldives Tourism flaunts with panache. 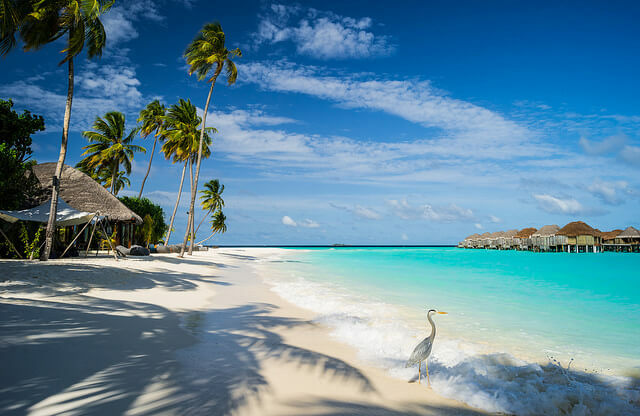 In fact, it is home to some of the most coveted beaches in the world, which is a chief reason behind the huge fanfare that Maldives boasts of. The powdery white beaches found across the numerous islands in Maldives are greatly juxtaposed against the cyan-blue of the water hugging the sandy shores, creating a striking visual kaleidoscope that is not only picture postcard material, but also a great tourist magnet. Hidden exotic coves, glittery lagoons, unexplored caves and diverse flora makes this place an attractive holiday destination. If you can pull yourself off the beach-induced stupor while on the Serene Maldives Fusion trance, you should visit the solitary island of Fua Mulaku, Kudahuvadhoo, Mirrihi Islands, Nalaguaraidhoo Beach Grand Friday Mosque, and Maldives National Museum, to name a few. 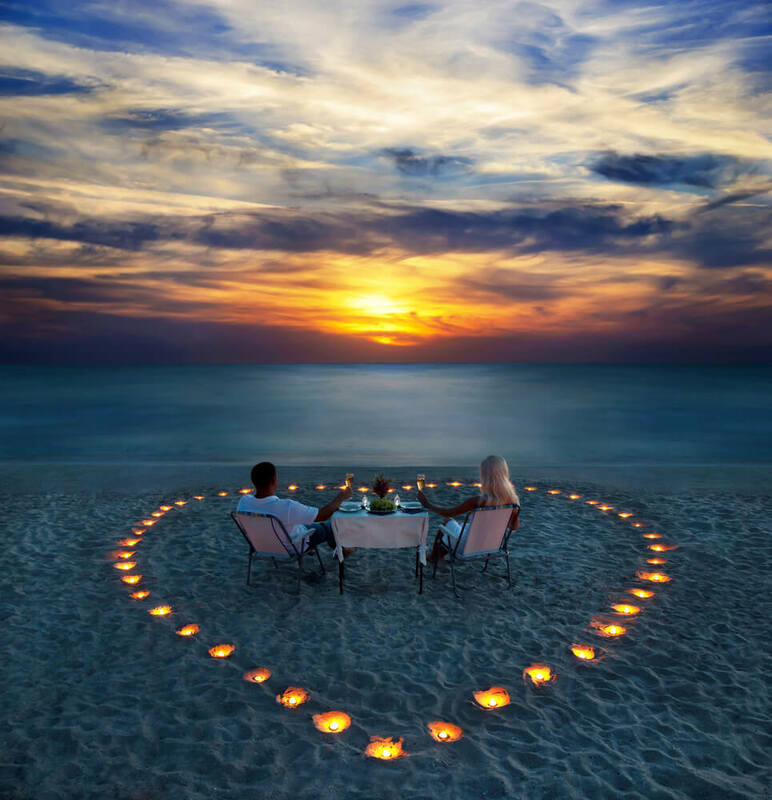 When you are in Maldives, there is much for you to indulge in. 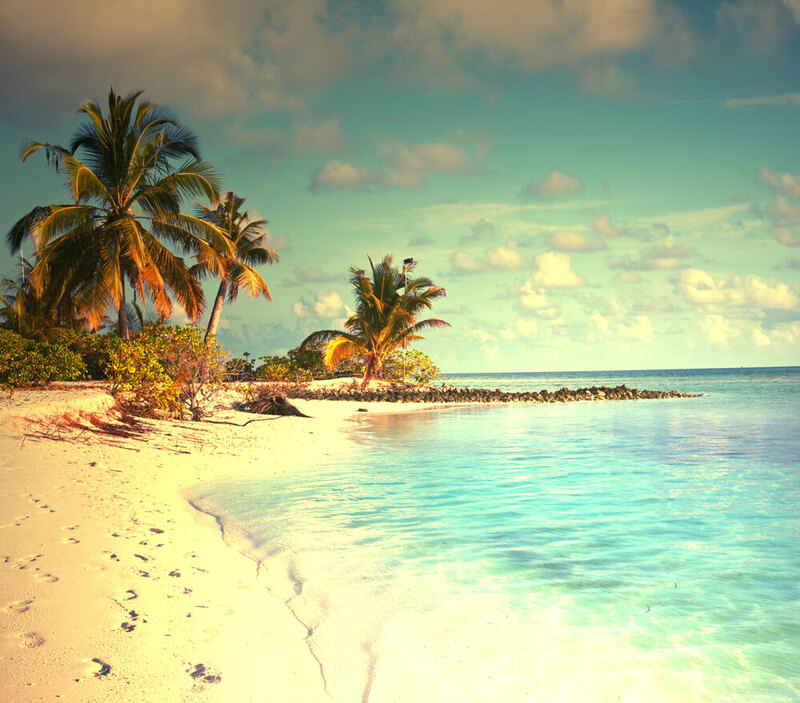 While sunning on the beach is certainly one of the most engaged activities on these picturesque islands, there are quite a few other indulgences that one can engage in. Since water is the predominant element, tourists can savor the exhilarating experience of diving amidst exotic underwater marine lives and resplendent coral reefs. Various other fun activities like kayaking, canoeing and snorkeling will keep you engaged too. One can also go hiking along the islands for their personal experiences of excavation. However, at the end of the day, when you get back to the beach and lie back on the deck chairs, taking in the serenading landscape and serenity around you, you will feel truly invigorated. Meanwhile, do cast a glance at the various moods of the sun dancing flirtatiously over the surface of the mirror-like water – you will know why tourists fall in love with Maldives easily. Maldives has a lot to offer from mesmerising landscape to underwater marine life. Plan your Maldive tour & experience the beauty of nature.